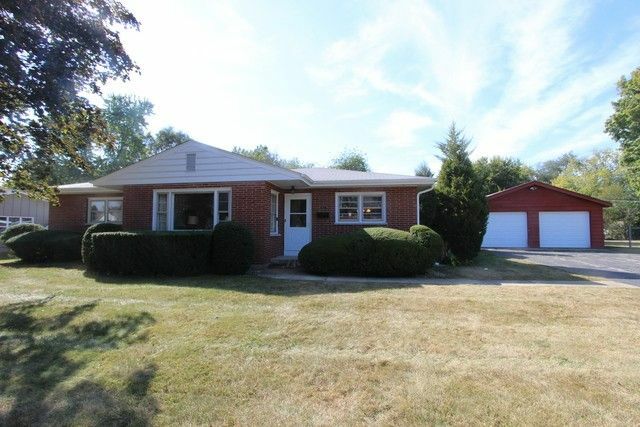 Tap the potential this 3 BR all brick ranch has to offer! A full basement, extra deep 2 car garage, and oversized lot are just some of the features this home offers. Tear up that carpet to expose great hardwood floors throughout. In the living room the huge window overlooking the front yard illuminates the room. A separate dining room right off of the kitchen makes serving meals to loved ones that much easier. All 3 bedrooms are found on the main floor and the mostly finished basement hosts a great rec room and family room as well as the large laundry room. Also found in the basement is a large utility room with work area. This home is definitely in need of updating but is solid and is in a great neighborhood close to shopping and entertainment. Bag a bargain!